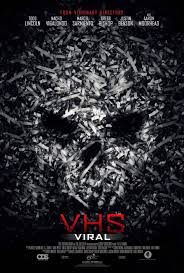 The third V/H/S film in the series, sees Nacho Vigalondo, Marcel Sarimento, Gregg Bishop, Todd Lincolm & Aaron Moorehead and Juston Benson all contribute to the new flick. Below you can catch the NSFW trailer in all its glory! A police chase after a deranged ice cream truck has captivated the attention of the greater Los Angeles area. Dozens of fame—obsessed teens flock to the streets with their video cameras and camera phones, hell—bent on capturing the next viral video. But there is something far more sinister occurring in the streets of L.A. than a simple police chase. A resounding effect is created onto all those obsessed with capturing salacious footage for no other purpose than to amuse or titillate. Soon the discovery becomes that they themselves are the stars of the next video, one where they face their own death.